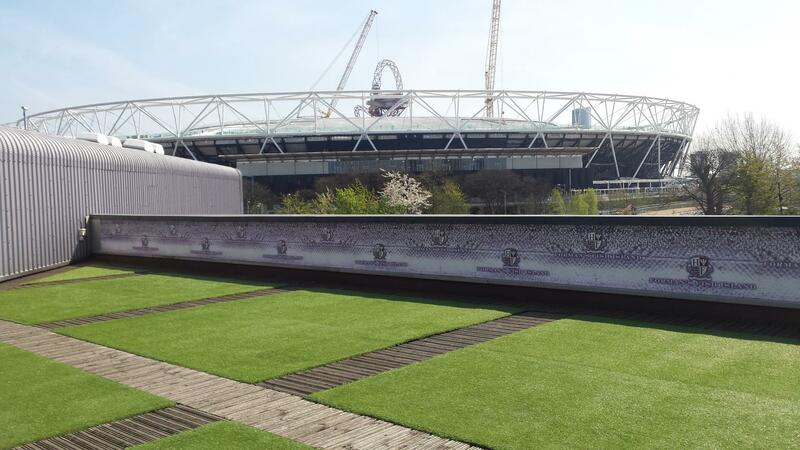 and terraced area, facing the Olympic Park. The space has extendable automatic awnings to provide rain shelter. It can accommodate 60 guests for a seated meal, or 100 for a reception. 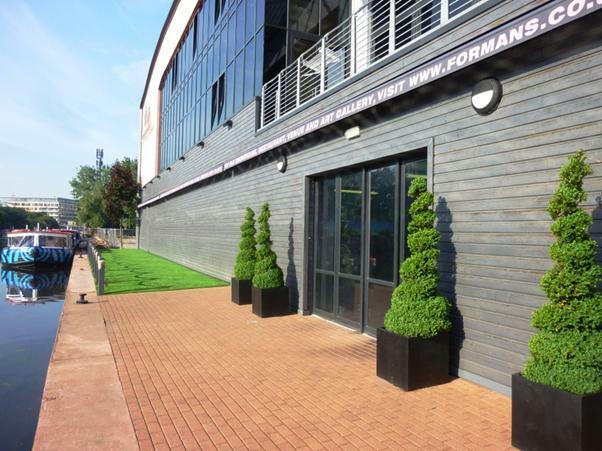 Forman’s Fish Island is an award winning luxury riverside venue, opposite the Olympic stadium. 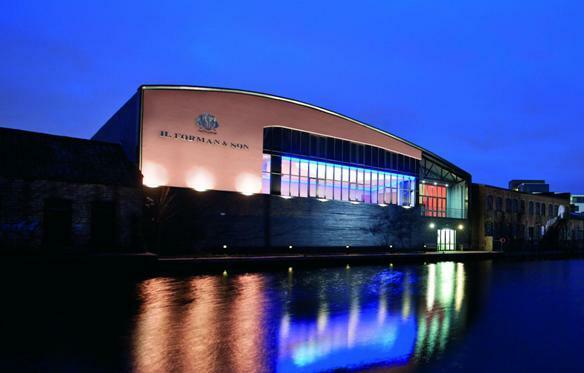 It is a fabulous, unique event space (for up to 700) with roof/lockside terraces (300 capacity). 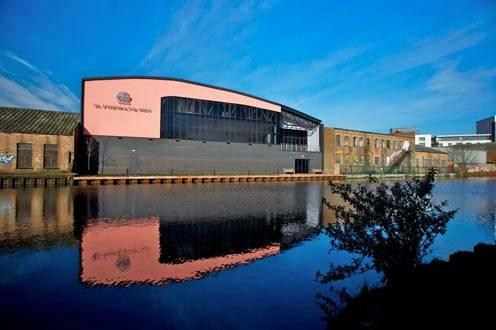 This iconic pink salmon shaped building boasts Forman’s famous salmon smokehouse (why not try a tour, salmon carving demo from our Guinness World record holder or a salmon masterclass – as part of its heritage family business since 1905). 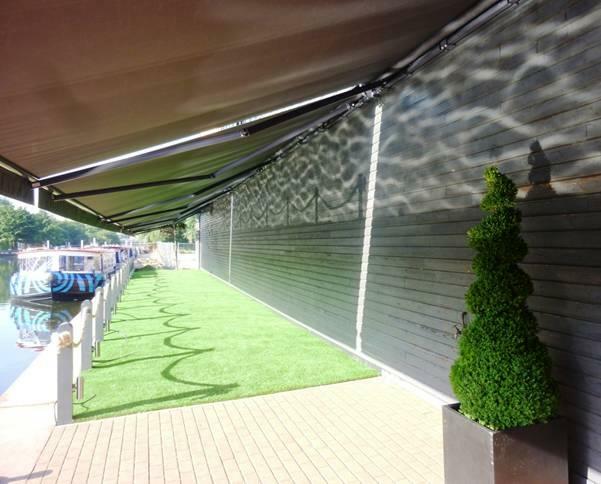 As well as a riverside restaurant & stylish bar, and an exciting art space too! Boris Johnson opened the venue calling it a ‘salmon theme park’! Forman’s guarantees gourmet food, high-end service, and can tailor to all event types/sizes – from private dining, team building (smokehouse experiences), through to large functions for up to 700.